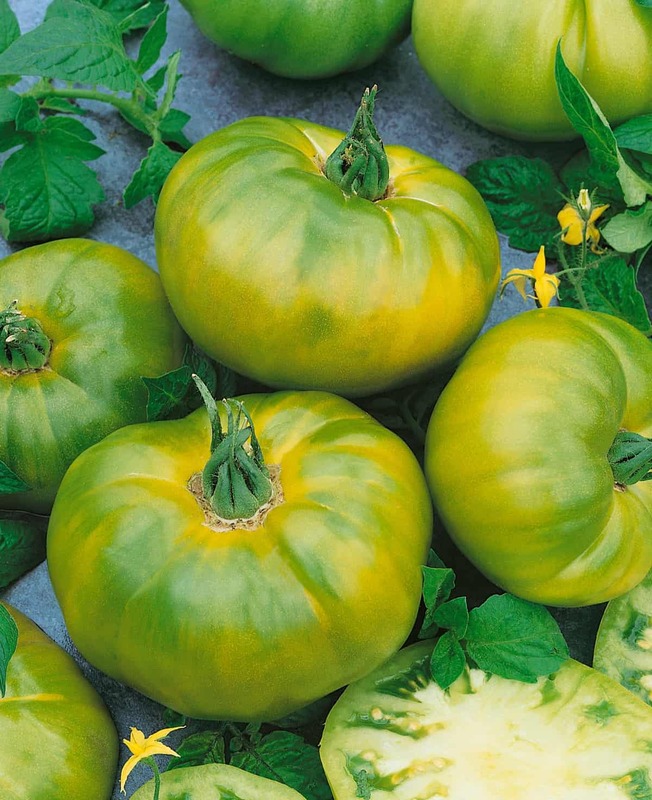 Looking for a uniquely colored yet delicious tomato with which to impress your foodie friends? 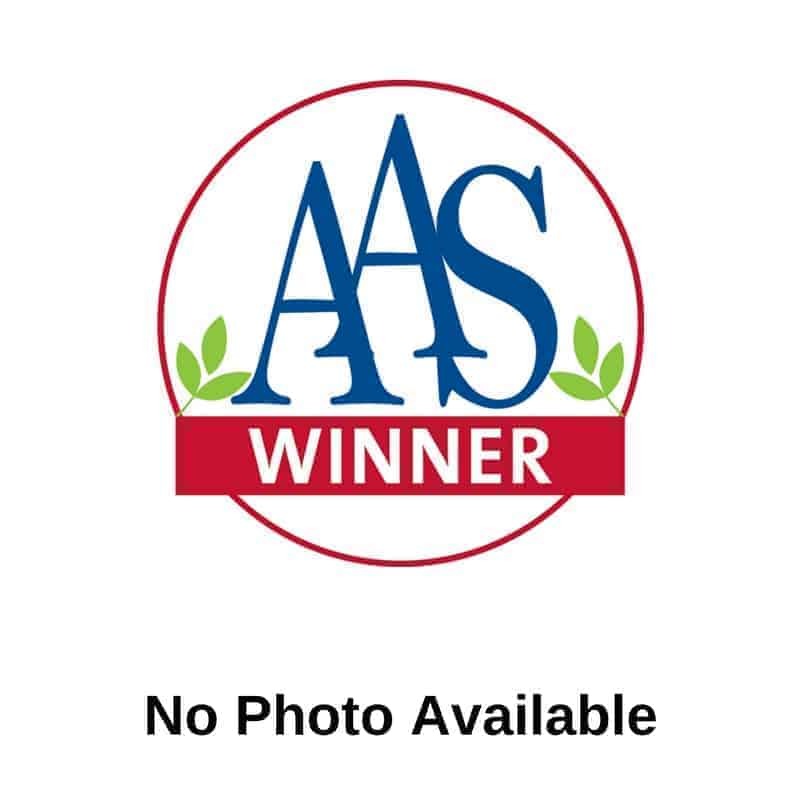 Then look no further than this AAS Winner, Tomato Chef’s Choice Green F1. 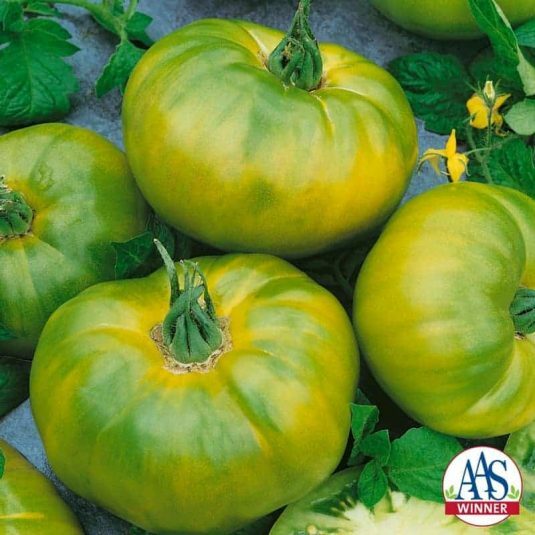 The newest addition to the Chef’s Choice series produces beautiful green colored fruits with subtle yellow stripes and a wonderful citrus-like flavor and perfect tomato texture. 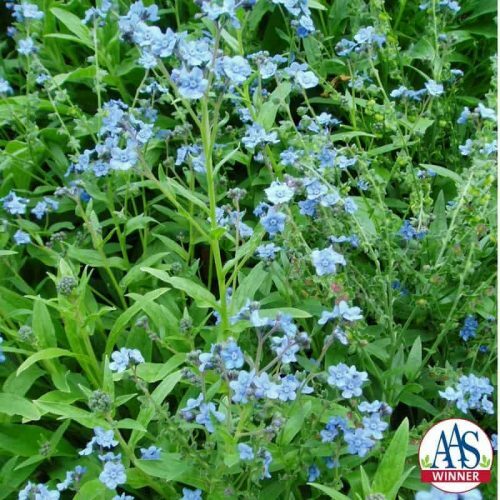 You’ll enjoy this disease-free plant throughout the season with its dark green leaves and well-behaved form. You’ll be the envy of all your tomato loving friends! Sow seeds for transplant about 5 weeks before setting out in frost free garden setting. Transplant in sunny location in 5-foot rows with a 15-18 inch spacing. These large 5-foot vines are indeterminate and require staking. But the staking effort is well worth the reward of 20 plus beautiful beefsteak tomatoes. 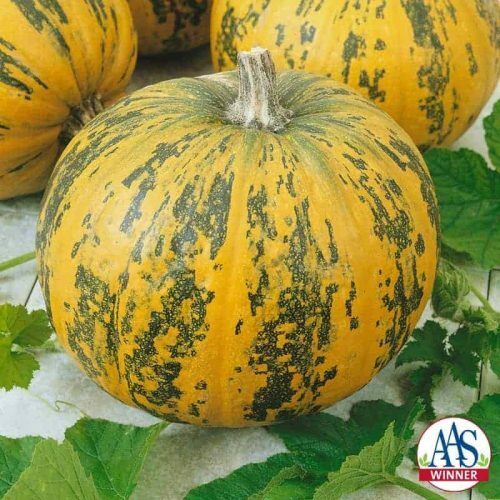 Harvest these boat-shaped fruit when they are still slightly firm to the touch. Enjoy fresh or cooked in soups and sauces. 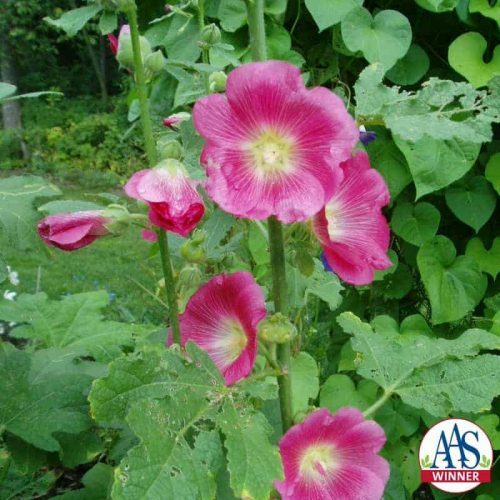 We love this variety not only for the wonderful flavor but also the color. 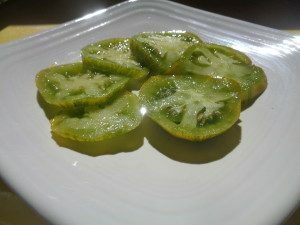 It makes a great salsa and an interesting pizza sauce. If you are canning it, be sure to use recipes for ripe red tomatoes, as Chef’s choice Green isn’t an unripe green tomato but a fully ripe fruit. It is very easy to tell when the fruit is ripe as the shoulders get more yellow.